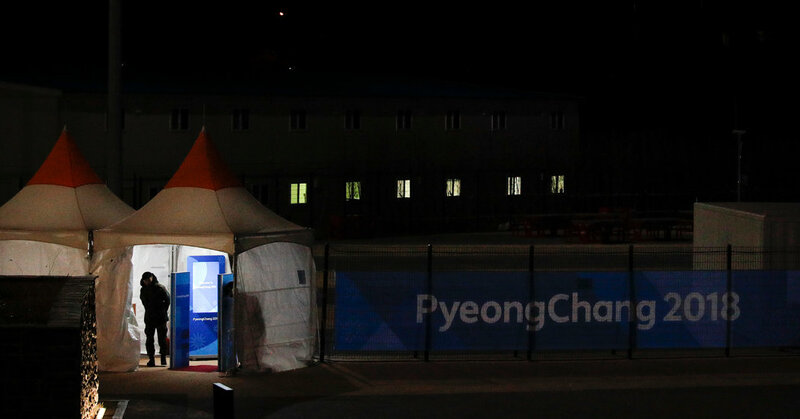 A security point at the Gangneung Olympic Park on Wednesday. The highly contagious norovirus has spread beyond the security personnel who were the first known to have contracted it. GANGNEUNG, South Korea — The number of confirmed cases of norovirus at the Winter Games has risen to 86 from 32 in just two days as Olympic officials struggle to track the source of the outbreak on the eve of the opening ceremony. Hong Jeong-ik from South Korea’s Centers for Disease Control and Prevention said on Thursday that the new cases included staff members of the Pyeongchang Olympics Organizing Committee, venue personnel and even cafeteria workers — a sign that the highly contagious virus had spread beyond the security personnel who were the first to test positive. Mr. Hong said that because more were still undergoing tests, the number of confirmed cases was likely to rise. After the outbreak was announced on Tuesday, 1,200 security workers were sequestered in their rooms. Mr. Hong said that as of Thursday, more than 1,100 people — including some nonsecurity staff — were still in quarantine. Most of those 1,100, he said, had tested negative for the virus, which causes vomiting and diarrhea, and were expected to return to duty on Thursday afternoon. To make up for the shortfall in security staffing, the government deployed 900 military personnel.